DNA replication. Computer illustration showing a DNA (deoxyribonucleic acid) molecule being unwound to create two new identical daughter molecules (centre left and bottom). 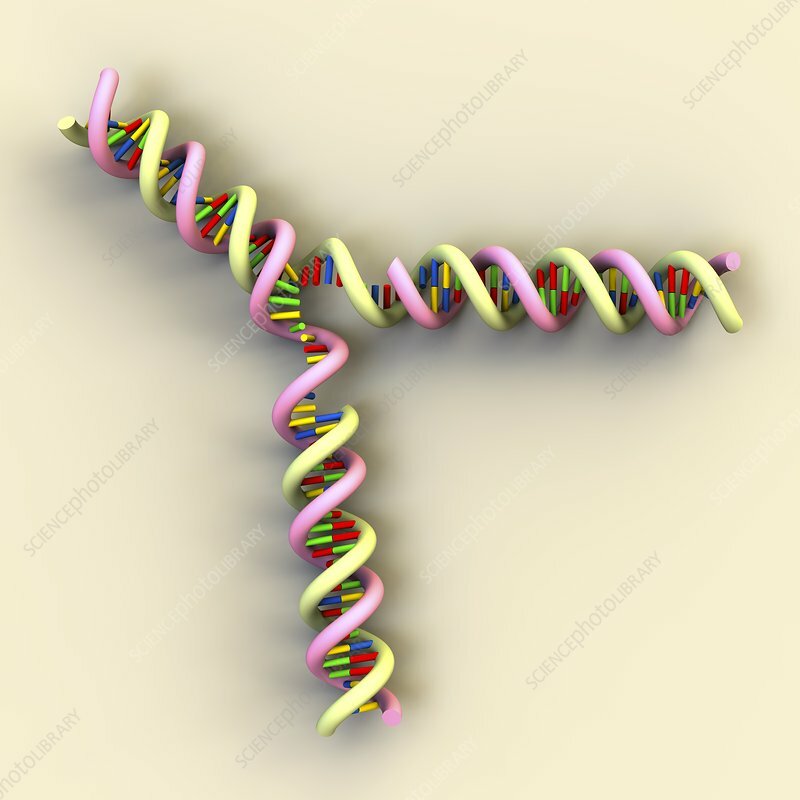 The DNA double helix separates into its two strands. Each strand then acts as a template for the formation of a new DNA molecule (bottom right and bottom left). This is known as semiconservative replication. DNA contains sections called genes, which encode the body's genetic information.